We hit the road! We played a quiet few songs on 97.7 FM in Troy, NY this afternoon, which was good, clean fun. 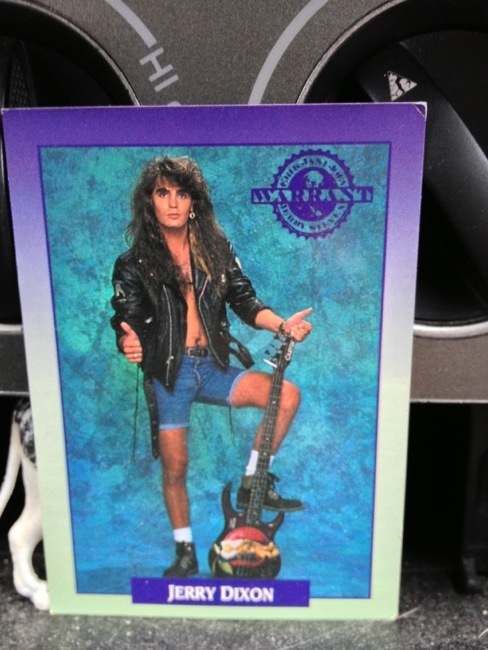 We’re sitting in the car outside the venue getting ready to listen to the broadcast with our trading card of the patron saint of touring rock bands, Jerry Dixon. We’ve actually left Albany now and are in Rochester with some cool folks. Erie, PA tonight! It may be inappropriate to be as excited as I am about tonight’s show.